The theological question about animals and the resurrection is an important one. It is a topic that has been wrestled with at different times in church history. In my opinion there has not been sufficient theological reflection on the cruciality of Christ’s resurrection as the theological lynchpin to build a theology around animals and redemption and resurrection. I am going to redress this imbalance in forthcoming books about animals and theology, and animals in church history. From time-to-time I will also remark on the problem in individual blog-posts. So I recommend that you “follow” this blog to stay in touch on the subject. 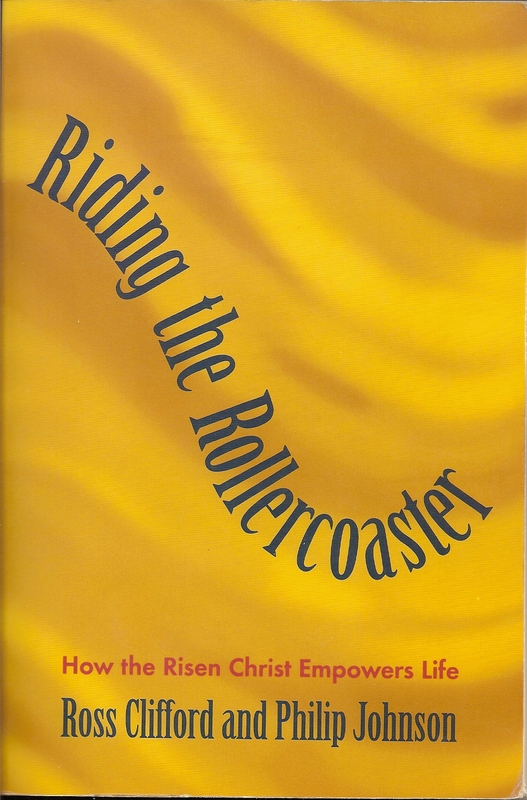 Riding the Rollercoaster: How the Risen Christ Empowers Life, Ross Clifford & Philip Johnson (Sydney: Strand, 1998), 111-112. The Cross Is Not Enough: Living as Witnesses to the Resurrection Ross Clifford & Philip Johnson (Grand Rapids: Baker, 2012), 55-56. Enjoyed this very much. Thank you for your work. I have no doubt whatsoever that the animals will be resurrected, just as surely as will human beings – in fact, as will be the case with all living things that God has formed. Scripture is clear that all things were created spiritually before they were created materially (i.e. note that two creations are referenced in Genesis – the first spiritual, the second physical). All living things will live on in the spirit world after mortality, ultimately to be reunited with their physical bodies & forms. It has never been God’s intention that any of His creations should remain permanently unembodied. I LOST MY BELOVED JACKSON ( A COCKER SPANIEL OF NINE YEARS) TO EPILEPTIC SEIZURES ON FEBRUARY 22, 2016. I LOVE HIM WITH ALL MY HEART, AND HAVE SEARCHED THE SCRIPTURES FOR ASSURANCE THAT I WILL SEE HIM AGAIN IN THE LORD’S KINGDOM. THIS IS MONUMENTALLY IMPORTANT TO ME!!! I READ ROMANS 8:19-22, AND HAVE CONFIDENCE THAT THIS IS THE ANSWER TO MY QUESTIONS AND PRAYERS. I BELIEVE ANIMALS HAVE NOT ONLY A PHYSICAL BODY,BUT A SOUL… BUT NOT A SPIRIT AS HUMANS DO. AM I CORRECT IN MY HOPES THAT I WILL BE REUNITED WITH HIM IN HEAVEN? How could it be heaven if one could not have one’s dog there? In the strictest sense heaven is brought to earth in God’s everlasting reign when sin and death are eradicated and the kingdom that Jesus foreshadowed is finally a cosmic reality on earth. The new earth (eschatology) is an effect stemming from Christ’s resurrection where all creation undergoes renewal and transformation (Romans 8:19-22; 2 Peter 3:13; Rev 21 etc). Animals are assuredly included in this reality when all things are consummated in Christ’s return.